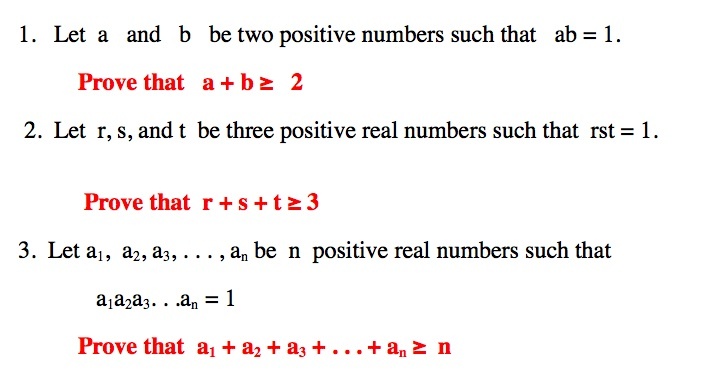 The problem examines the theorem that if the product of n positive real numbers is 1, then the sum is greater than or equal to 1. Clearly, the proof of 3 implies the first two. 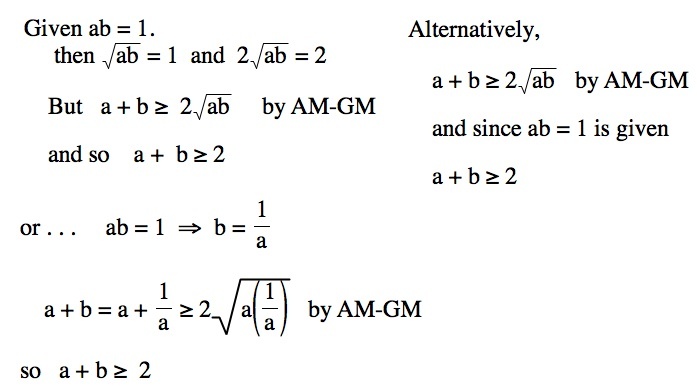 HINT: Use the AM-GM Inequality to prove problems 2 and 3.